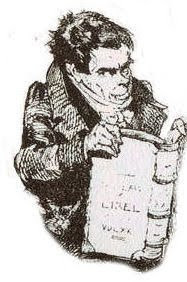 We return here in this interview with William Church (above) of the Jersey Royal Company to the subject of housing the 10,000 residents of Jersey without "housing quals". In fact the Jersey Royal Company employs up to 600 of the 1,500 who work in agriculture and some of these will have achieved Jersey housing rights. So this is specifically about those "seasonal" people - mostly from Poland - who work to produce the famous Jersey Royal potato. In an Island where the very lucrative Finance sector is dominant economically (12,000 employees), the difficulty of generating comparable wealth from a simple crop such as spuds is obvious. But the importance of the agricultural activity to the image of the Island - keeping the countryside green - and maintiaining a place that is attractive to live in for residents and tourists cannot be overstated. However, that importance alone does not attract money. The factors that dictate whether agriculture can survive in the long term are complex. We have tried not to take sides in the discussion posted in this or previous related blogs but discrimination is not, in our view, an accptable standard to base a fair society on. Clearly, if agricultural workers are to be paid similar wages to workers in the finance industry and to be properly housed then Jersey's potato industry must soon collapse. But why should agricultural workers accept lesser standards of pay and living conditions in this tiny community of just 100,000 people? We thank the Jersey Royal Company for meeting with us and allowing Wiilam to speak so frankly. and several interesting videos are posted on Jersey Royal Company YouTube. As always we invite comments and will be especially pleased to video record and post the views of local politicians or those with a particular interest in the subjects raised. Farewell to Jersey's portacabins and slums...?